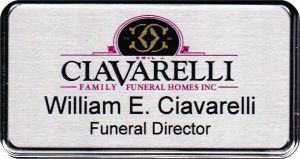 Providing You with Quality Custom Plastic Engraved Name Badges at The Best Price for Over 40 Years! We are a third-generation family owned American business. With heavy hearts and great sadness, we feel the need to share with you a great loss. My father Joe Ruhoff Sr. and previous owner of Omega Engraving for the past 23 years passed away unexpectedly October 20th. Our family is processing this loss, finding time in our sadness to look back at how big life was for him and how he passed that upon us. Your name is important - wear it nicely! As a small professional family-owned business we want to do more than tell people who we are - We want to SHOW you who we are. We make and deliver high quality engraved plastic name badges for many businesses and organizations. We maintain a large variety of color schemes and logos to show that we care and are true professionals that keep the customer's needs as a top priority. We have many ready-to-go styles and corporate identities on file and a willing staff to customize your order. 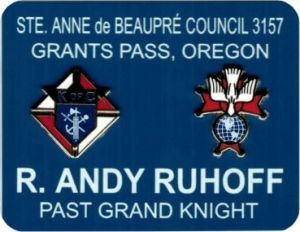 In fact, we provide beautiful plastic name badges to a host of outstanding civic and fraternal organizations such as the Knights of Columbus, United States Postal Workers (APWU), N.A.L.C., Elks, funeral homes, police departments, fire departments, city employees, large companies, small businesses, non-profit groups, and a whole lot more. We are your source for what you need. We specialize in creating personalized plastic name tags, badges, as well as other unique plastic engraved items. We even offer several options for the backs of your badges - such as magnetic backs, slide on backs, clip on backs, heat sealed and of course badge backs with different pin styles. Because we are an American made manufacturer and have the most extensive stock available - we offer the lowest pricing on both single and bulk orders. Hello! I am Carmella - owner of Omega Engraving. 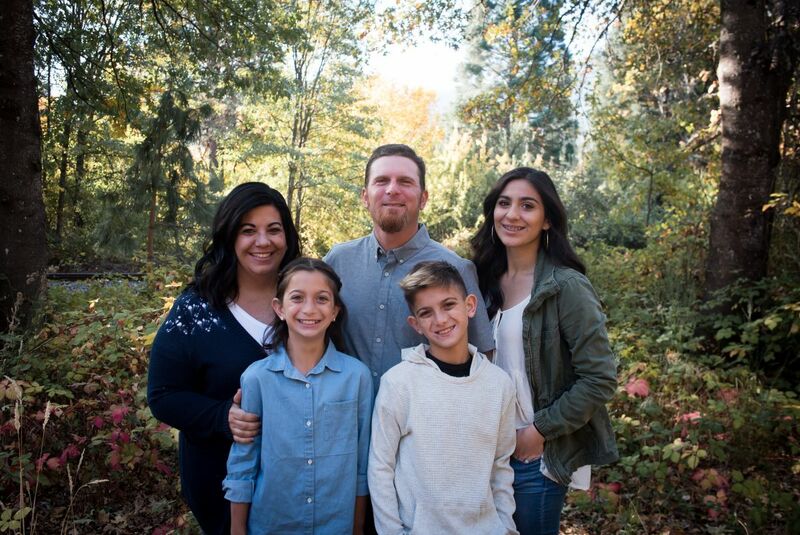 I run this sweet family business with my husband Shane. We have our kids help out in the shop, too. Gotta keep it in the family! When you call Omega Engraving, you will speak to either Shane or myself that will listen to what you need and promptly take care of you. Why? Because listening to our customers, and providing what they need when they need it, is the gold standard by which our family has conducted business for three generations. We truly appreciate you and cannot thank you enough for your business.